Have you noticed even the slightest change in the weather? This might be the perfect time to get your lettuce garden on! What could be better than heading to the garden to grab a bunch of fresh, green lettuce to make a beautiful salad? Take note of these tips, because growing your own lettuce garden is easier than you think! It takes about 45 to 80 days to go from seed to salad, so if you start now, a lovely lettuce garden will be here by the time summer rolls around! Butterhead – This lettuce is also known as Bibb lettuce. It has small heads with loose, tender leaves. 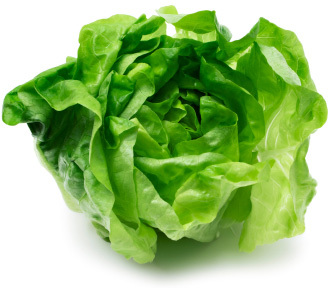 Cos – This lettuce grows upright and forms elongated heads, like Romaine lettuce, and is fairly sturdy. Early spring is a great time to plant your lettuce seeds — lettuce likes the cooler temps, generally 40 to 60 degrees F. In warmer climates, you can likely grow lettuce until it reaches about 80 degrees F. If you plant seeds in the spring, you should try to get started at least a month before the hot weather hits your area. You can also plant in the late summer for a fall harvest, but you’ll likely need to be ready with some extra TLC. Ask a garden specialist at your local garden center which types of lettuce grow best in different conditions. You can also check out the Burpee Seed Company’s Lettuce Growing Calendar. Enter your ZIP code for help determining the best growing time frame in your area. 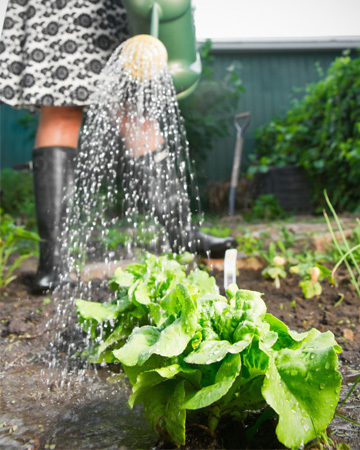 Since lettuce seeds are super-tiny, make sure to give your garden area a good tilling before you start planting. This should help break up hard clumps of dirt and get rid of any small weeds that are buried. 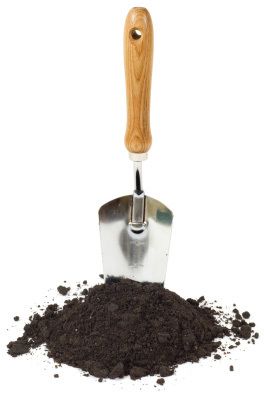 If you decide to use fertilizer (check to make sure it’s safe for use on edible veggies) or compost, add it to the soil before you plant your seeds. When you’re ready to plant, scatter the appropriate amount of seeds. According to the University of Illinois Extension, College of Agriculture, Consumer and Environmental Sciences, about 10 seeds per square foot, planted in single, double or triple rows, 12 to 18 inches apart should work well. Then cover them with about a quarter-inch of loose soil. Finally, water them with a good, slow soak. You should see seedlings sprouting in 7 to 10 days. When your lettuce is about 1 to 2 inches high, you should thin the plants a bit so that there is about eight inches of space between each other. If you want to have lettuce growing throughout the season, you can plant different types every few weeks (about 10 to 14 days apart). This is called successive planting. Lettuce plants have shallow roots, so it’s important to keep the soil where they grow moist but not soggy. Light, frequent watering will help the leaves develop quickly and produce a high-quality plant. If you’re using fertilizer or compost in your garden, you’ll want to add more once the lettuce has grown to a few inches high. Apply it to both sides of the rows where your lettuce is growing, very gently, by using your hands or a small spade to work the soil. This is called side-dressing. When it’s ready, pick your lettuce early. The longer it grows, the more bitter and tough it will be. Check your seed packet for more information on how to pick or cut your particular variety. Spring is here and many of us are ready for what the season holds. That means lettuce gardens and fresh salads, so start thinking about what to plant!